Working During Summer: After hearing the Marching Band begin practice this week and watching our lady Wildcats participate in the John Pepper Lacrosse Classic over the weekend, one thing is for sure; I want the school year to start. I work all year so after the last day of school when the students go home for the summer my life becomes surrounded by adult school issues. While I am plenty experienced to know what that entails, the best balance for me is during the school year when I can deal with adult issues and then visit with students in classrooms and at events. It is about this time of summer that I always realize how much I miss having the students around. So while I know many would like summer to continue forever, I will be really happy to see everyone when they return! 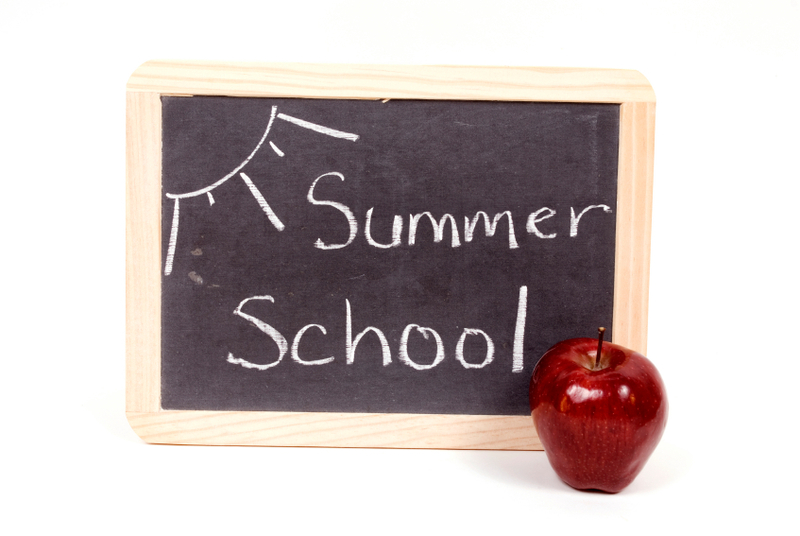 Schooltool Summer Maintenance: We are ready to receive our first full-day Kindergarten classes, and we have finished all of our preparations for redistricting. One of the growing pains we had this summer had to do with our student management program called Schooltool. Since this is our first full year using the program K-12, we did not know that the scheduling function was visible to parents while the computer rolls the school year over. This meant that some parents who happened to visit Schooltool might have seen a teacher listed with their child and those decisions are no where near final. We are still hiring for some positions and our elementary and middle school principals do not return from their summer vacations until August 7, so their master schedules have not been started in most cases. Live and learn on our part! As a result we have temporarily taken Schooltool down until all of these changes have been made. We will alert everyone when we are ready to fire it back up, which should be around the middle of August. Full-Day Kindergarten: I am excited for this full-day Kindergarten class. The class that graduated this year represented a complete cycle for me, as I became a superintendent when they were in Kindergarten. If all goes well with my health, work, and support from you, I will take this incoming Kindergarten class through graduation, and I will retire as they graduate. Sounds like a long time away, but it really isn't. I would be really proud to have had the opportunity to bring two groups of students through a complete K-12 education cycle in my career as a superintendent. Pretty cool stuff. Transportation Update: While redistricting and full-day Kindergarten are in place and ready for us, we are still scheduling transportation for our middle school students who will now have a period of time at the end of the day called "interaction time". We sent our transportation pick up notices out about five weeks earlier than normal so our transportation department can work out all of the details. We have received some calls and e-mails from middle school parents regarding student pick-up times being much earlier than we had advertised to them in the spring. These times will change after the first few weeks of the school year. Why and how? You have to remember that our transportation department has to initially create bus stops for 4,896 students attending West Genesee schools, and bus stops for 300 other West Genesee students attending area private and parochial schools, including BOCES. We have 88 school buses that cover about 90 square miles per day and just under one million miles per year. We have tried unsuccessfully in the past to have parents let us know if they do NOT need transportation for their children, so we initially have to schedule for ALL students. After the first few weeks we will know who truly needs a ride and who does not, and all pick up times will then be adjusted. Our historical experience has been that of the over 5,000 students that we schedule pick-ups for, we end up providing transportation for approximately 3,000 students.Thank you for your patience. Again I am very excited to get this school year started. My blog posts will get back to once per week, and I am going to start using my Twitter again more regularly after next week. Thanks and see you soon! I hope that this post finds you well, and you have found some way to manage the heat and the rain that we have had lately. My heart goes out to those to the East of us in Herkimer and surrounding counties that experienced devastating flooding. My first home was completely flooded back in January of 1996. At that time, my new graduate was about six months old and we had just mailed our second mortgage payment. I foolishly waded to the house in about waist deep moving water to get his birth certificate, diapers, etc. and then had to be rescued by boat when I tried to leave. Everything was lost except for the first floor. I have to tell you that unless you have been there, losing the entire house is probably better than dealing with what is left when the water goes away! I will never forget those days. Back on the home front, our local BOCES has leased space in our high school to be able to operate a regional summer school. Beginning on July 8, you can expect to see students from surrounding school districts on the high school campus. We are also very plugged into the local road construction and you can find updates posted on our website. By the time all is said and done, I believe everything should work itself out just fine. getting ready for the opening day of school. re-developing menus in food service. I keep myself pretty busy! I also like to check in on the Town of Camillus summer camps, BOCES summer programs, and some of the evening leagues that our students participate in. Soon I will be watching our jazz band students and the Marching Band! Time certainly flies. I will be taking a few days next week though to go on our "last" family vacation before our oldest heads off to college. Never thought I would say that, but then again I never thought I would type about the time I waded through waist deep water to get to my house either! Enjoy and I will post again in a couple of weeks.